Indiana Jones is not the only one solving annoying ancient puzzles in haunted caves, armed with a whip and dynamites, far from civilization. A setting like this is perfect for video games, so it is no surprise that many were influenced by the character, and the similarities in some cases are amazing. Well, obviously, all the games featuring Indy as a main character should be on this list. Probably the LucasArts point-and-click adventure titles are the most memorable, but there are many others. First up, from left to right, we picked Raiders of the Lost Ark for the Atari 2600, the 1994 SNES platformer Indiana Jones' Greatest Adventures, one of the point-and-click adventures, Indiana Jones and the Fate of Atlantis and LEGO Indiana Jones: The Original Adventures. In Spelunker, a platformer released in 1983, we had to get the treasure at the bottom of a gigantic, challenging cave. The Pitfall series are widely known. The original game for the Atari 2600 is a classic. Our other pick, Pitfall: The Mayan Adventure is one of the many sequels, released in 1994. La-Mulana is not just a tribute to Indiana Jones, but to the classic MSX games—most of them made by Konami—of the 80's. In the indie platformer Spelunky (released first in 2009 for the PC) we navigate through caves full of enemies and traps with our whip. Rick Dangerous is a platformer made by Core Design, the guys behind the original Tomb Raider. This game has everything we saw in the Indy movies: nazis, the Amazon jungle, an Indy look-alike protagonist and rolling boulders. Flight of the Amazon Queen, a really good point-and-click adventure game taking place in 1949, is also influced by the Indy movies, and its protagonist also has a fear of snakes. Curse of Ra is a little bit different from the ones listed here. It is a Mahjongg game that's got an Indy-like skin and some extra gameplay elements with dynamites. 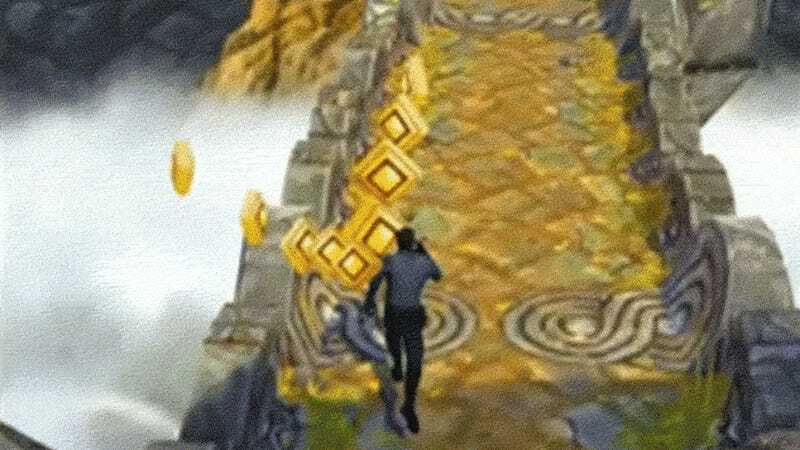 Temple Run 2, released earlier this year, is a huge success. You don't really solve puzzles here, but everything else fits to our concept. 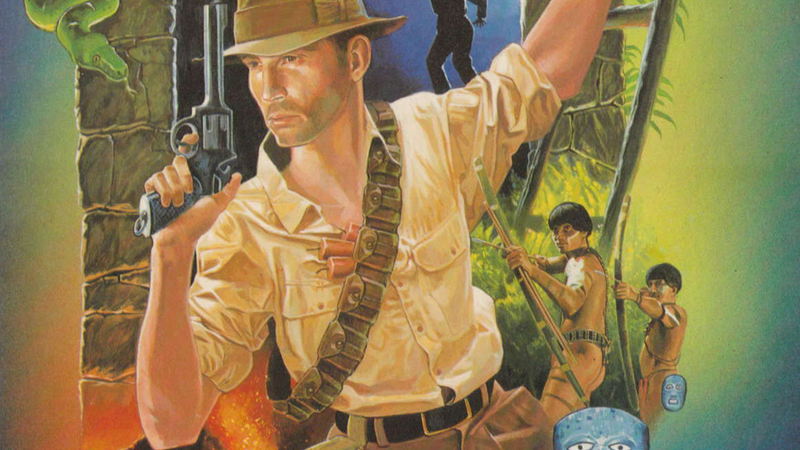 Indy has also influenced a ton of other third-person action games. And with all the underground exploring and puzzle solving, the original Tomb Raider definitely needs a mention here. Did you play any great games with atmospheres inspired by the Indiana Jones movies? Post your picks with visuals in the comments below.